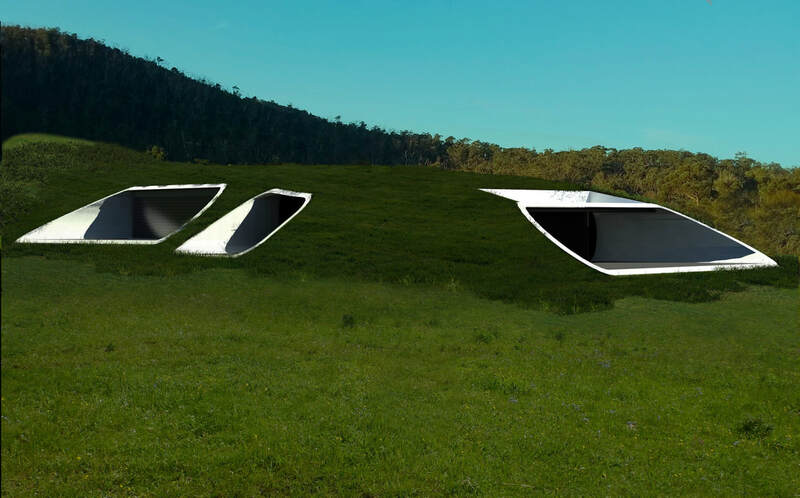 ​Winners of the Bushfire Building Council of Australia's best design concept award. 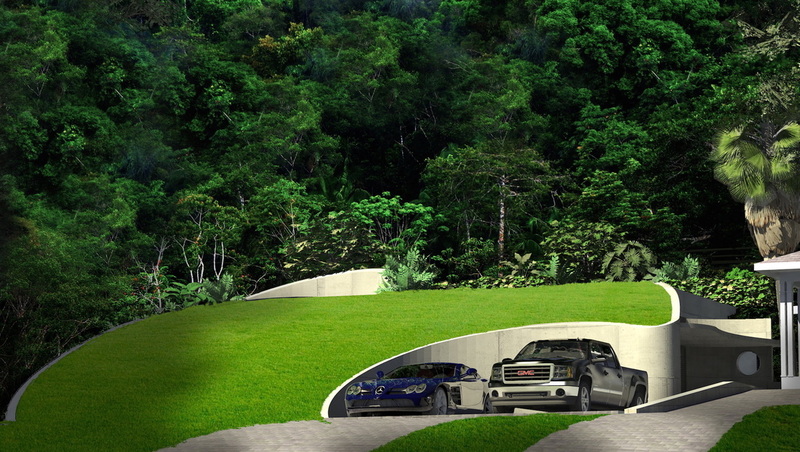 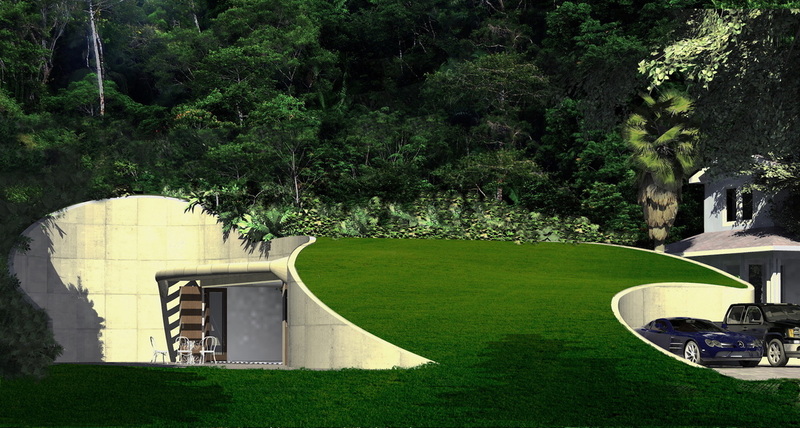 The advantages of earth sheltered buildings are numerous. 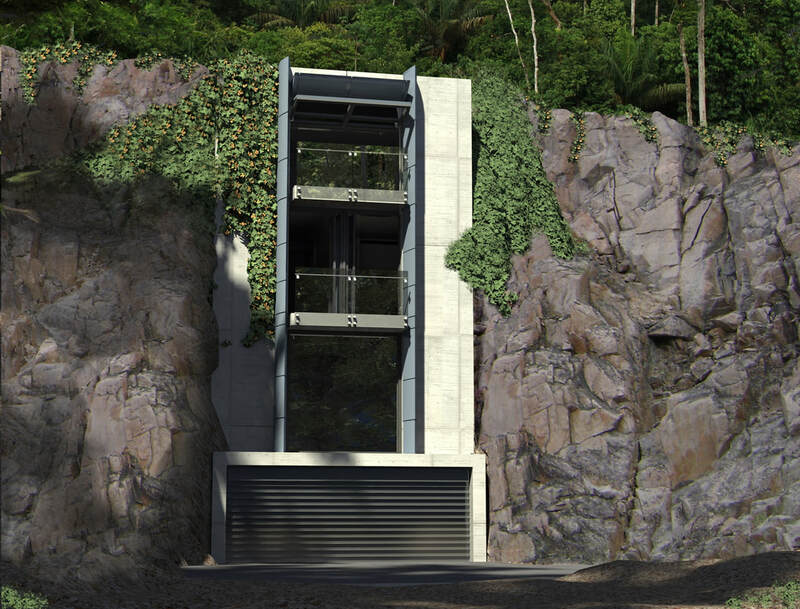 They are significantly more ecologically sustainable due to minimal heating, cooling and maintenance requirements and because they maintain more vegetation as a carbon sink and a habitat for native flora and fauna. 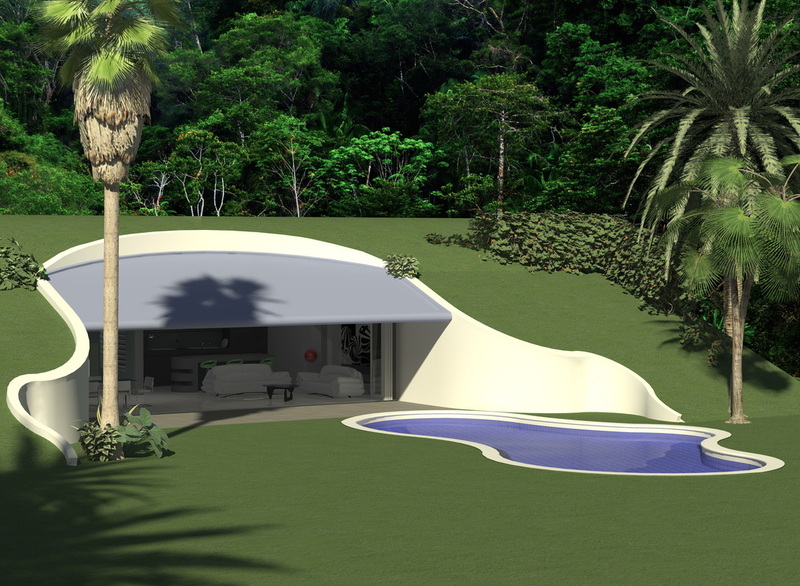 They can be more easily designed to provide protection against natural elements such as hail, cyclones, bush fires and flooding. 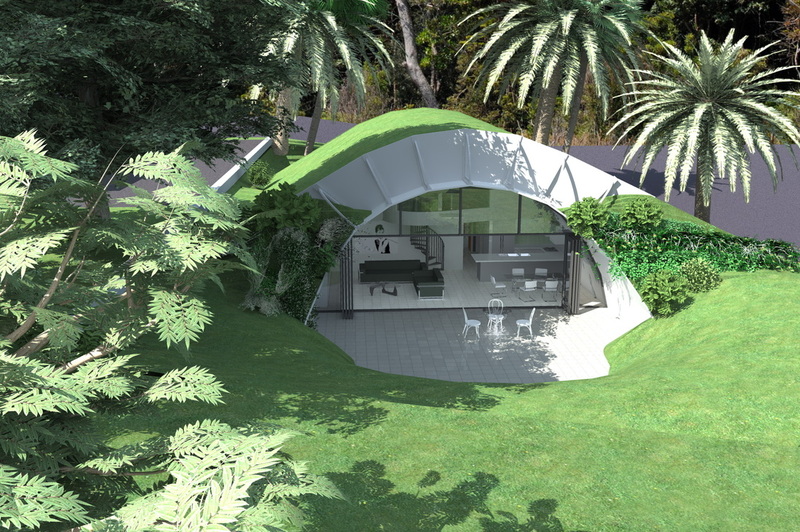 They provide a more efficient use of land in urban settings and better acoustic privacy. 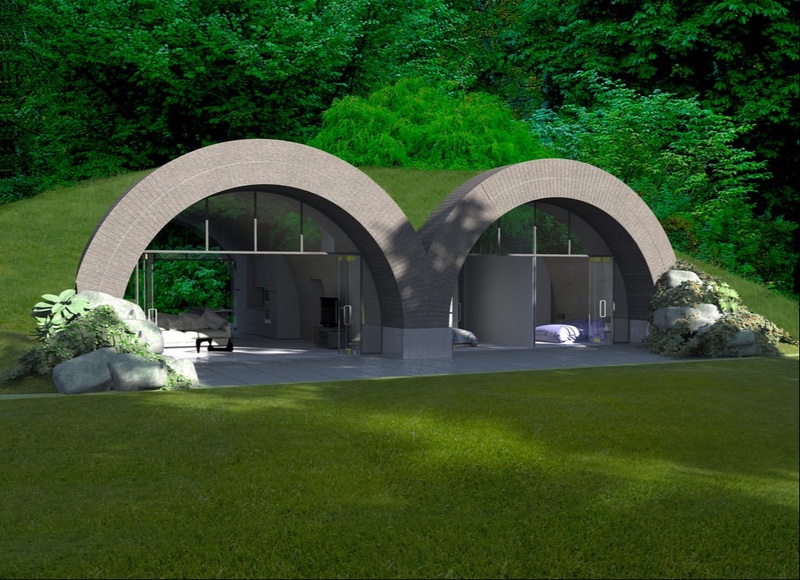 Unfortunately, the technique of earth sheltering has been overlooked for some time, mainly because up until now it has been generally more expensive than traditional building techniques and has not always produced good aesthetic outcomes. 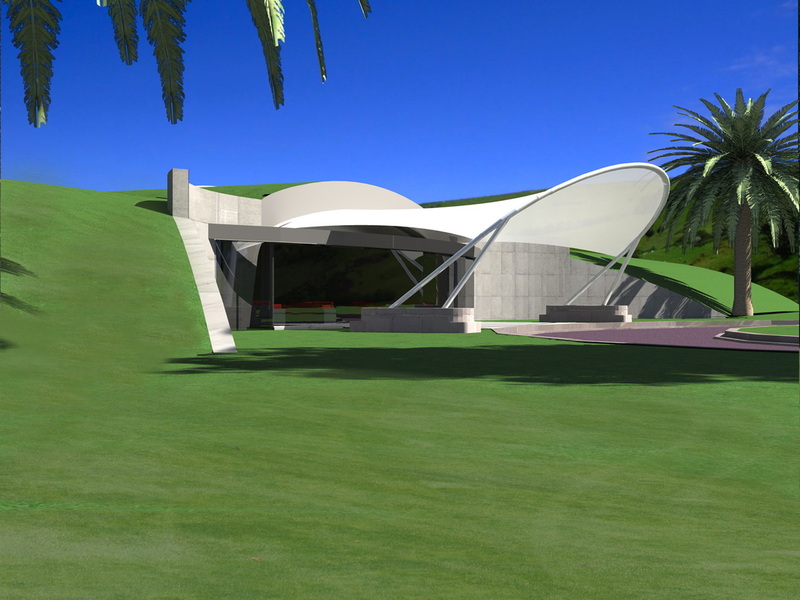 We have developed several innovative construction systems which generate visually exciting forms that integrate well into the contours of a site. 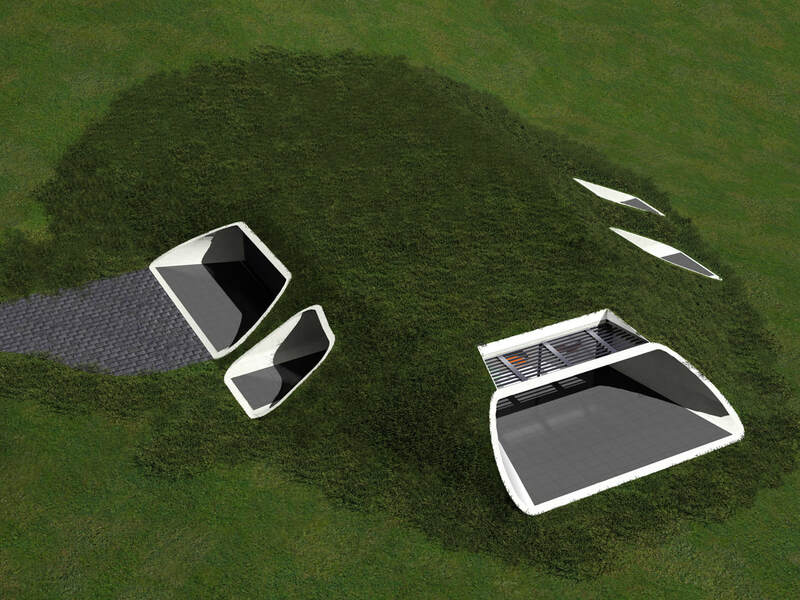 We have recently developed a structural system based around Stabilised Compressed Earth Blocks which is the most cost-effective and sustainable way to build earth sheltered structures. 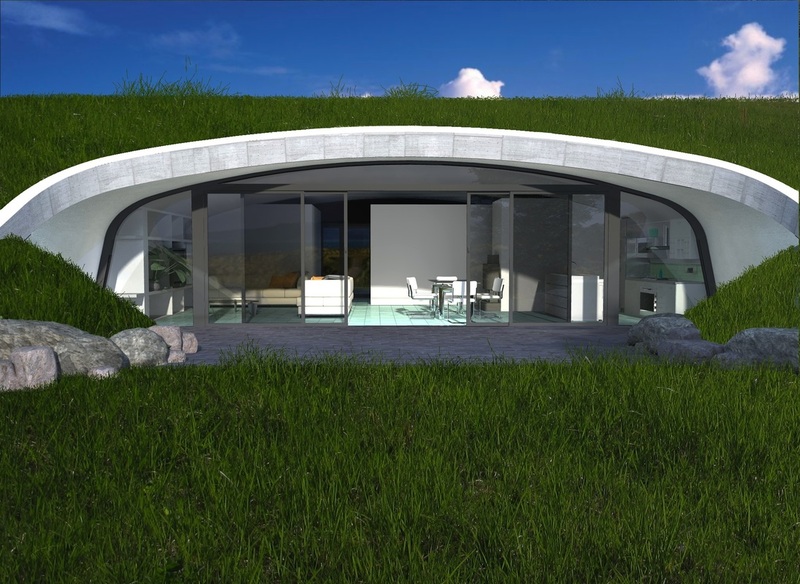 ​Earth sheltering is the most ecologically sustainable approach to domestic and small scale architecture. 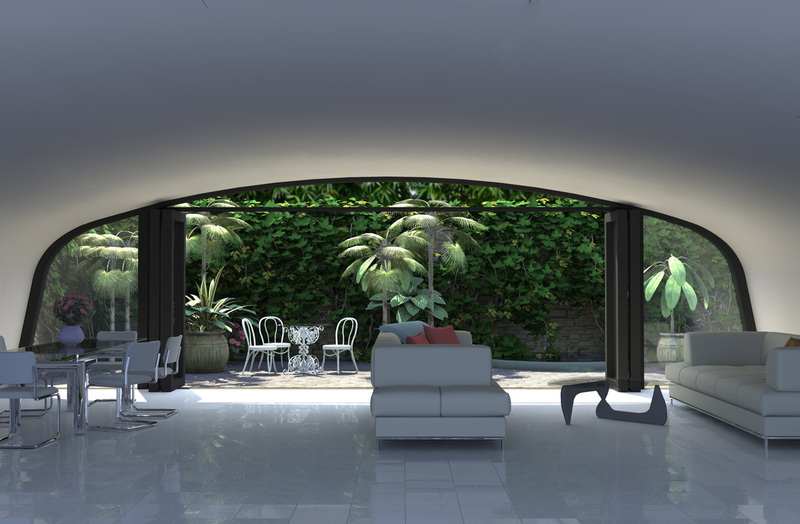 Many of our designs incorporate lightweight, permanent, rigid PVC formwork which has an inbuilt waterproof membrane. 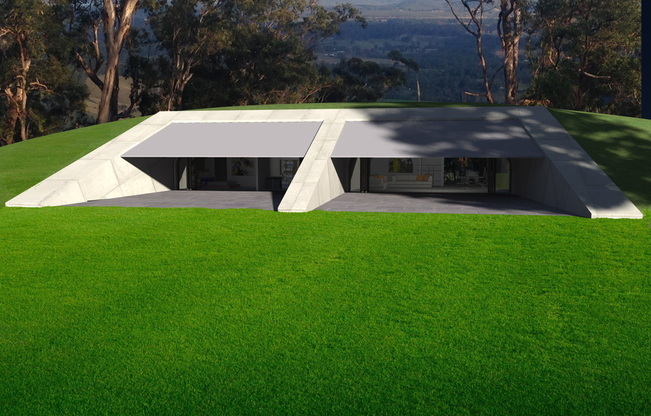 We often use precast RC beams for the roof and we also use corrugated segmented steel profiles for more remote sites. 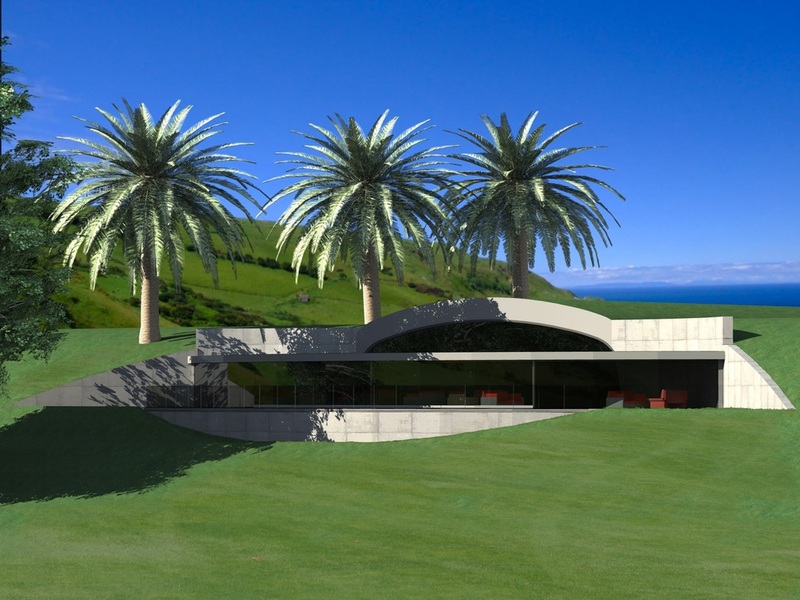 Some of these systems are so cost competitive against other construction systems it makes earth sheltering a viable alternative even in situations where it may not have otherwise been considered. 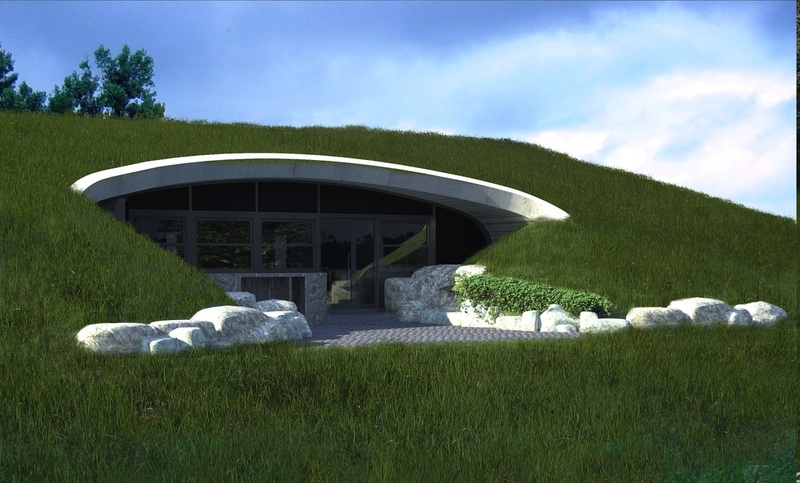 It is important to understand that earth sheltered houses, which are sometimes referred to as underground houses, can get just as much light and air as conventional houses if they are planned correctly. 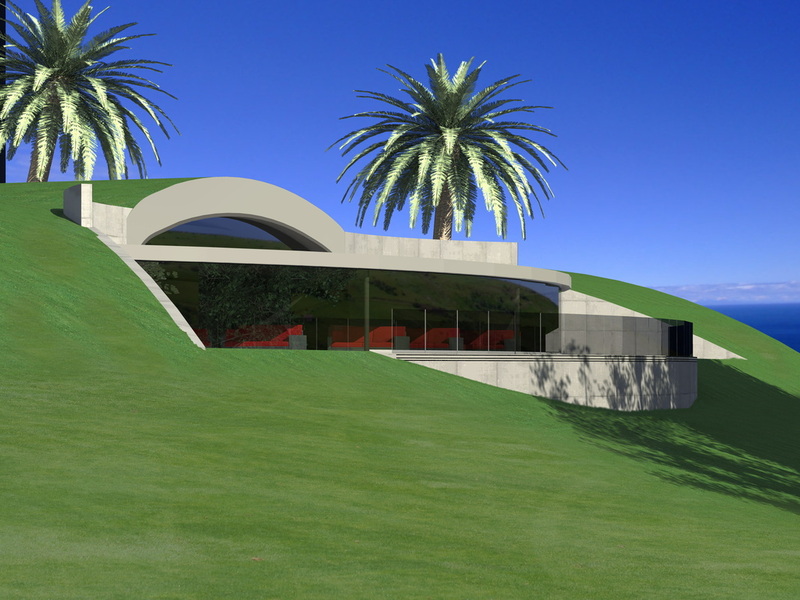 They can also be constructed on very steep slopes as well as flat ground. They are particularly cost effective solution for buildings in bushfire prone areas( click for more info).​ In November 2015 Baldwin O'Bryan Architects won the The Bushfire Building Council of Australia's Innovation Award for the best design concept. 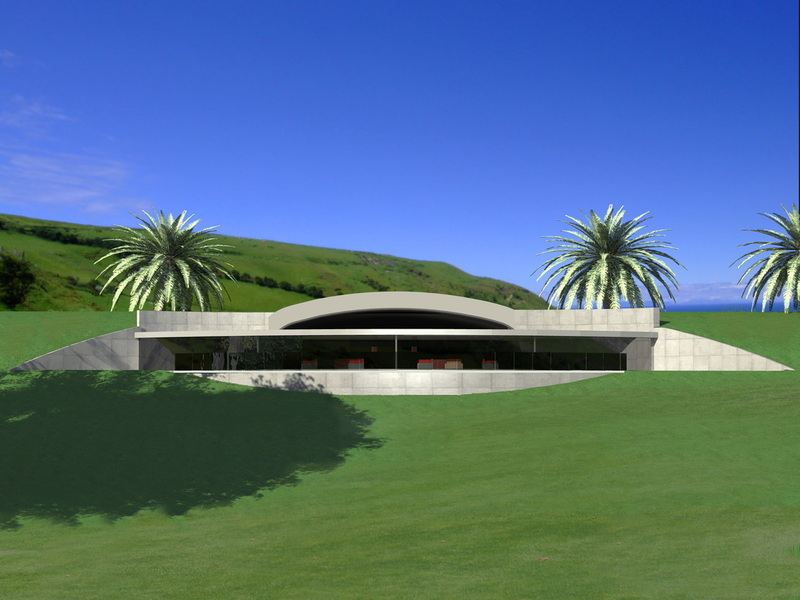 We are passionate about conservation issues and good design. 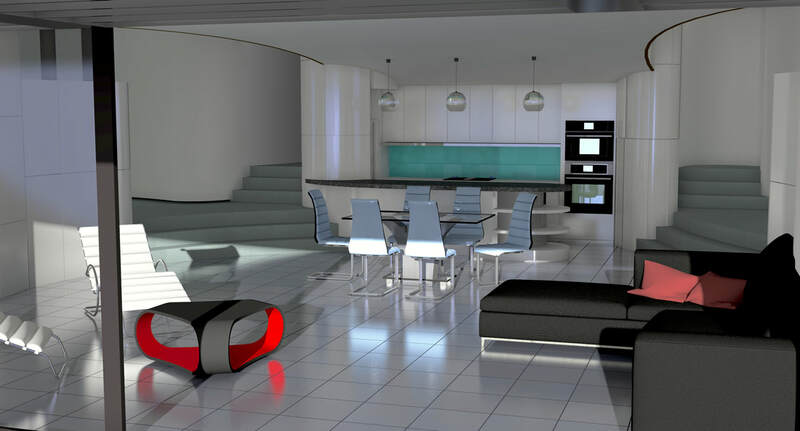 We pride ourselves on innovative solutions which are responsive to aesthetic, environmental, and fiscal constraints and on creating buildings which are exciting and enrich the human experience. 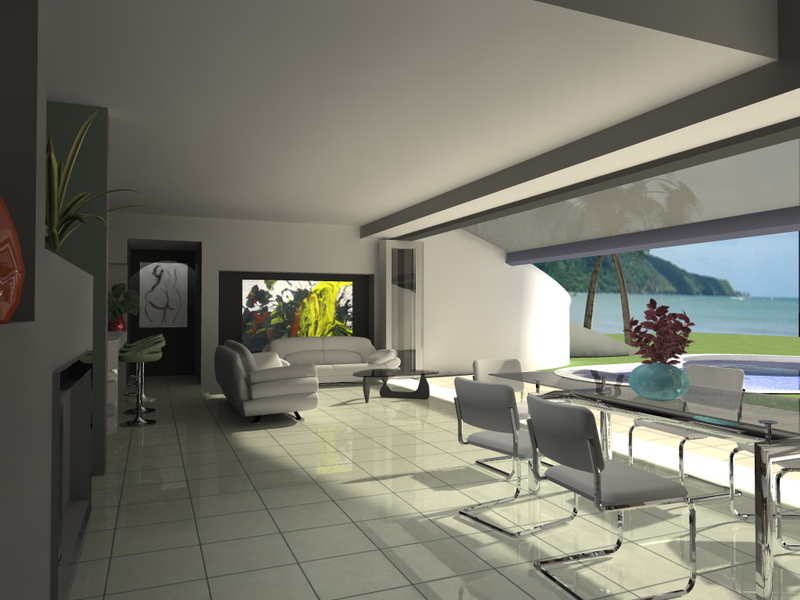 Since the mid eighties we have designed a broad range of building works ranging in scale from large commercial, industrial and residential buildings to single houses. 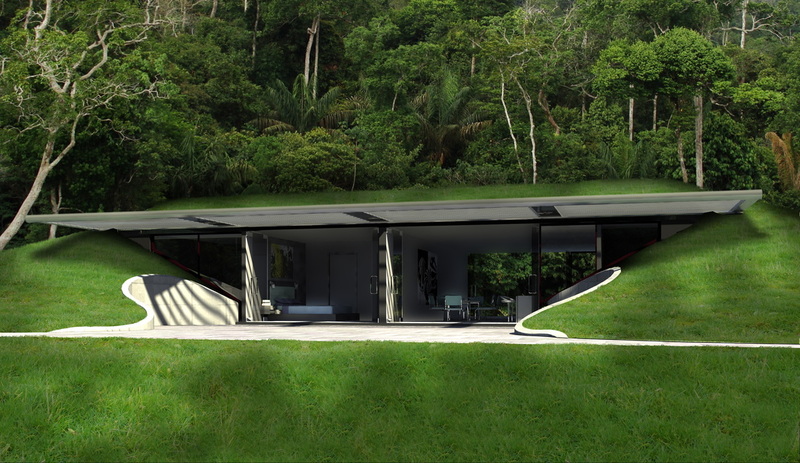 However because of our commitment to sustainability, our focus has now shifted entirely to passive solar earth sheltered architecture. 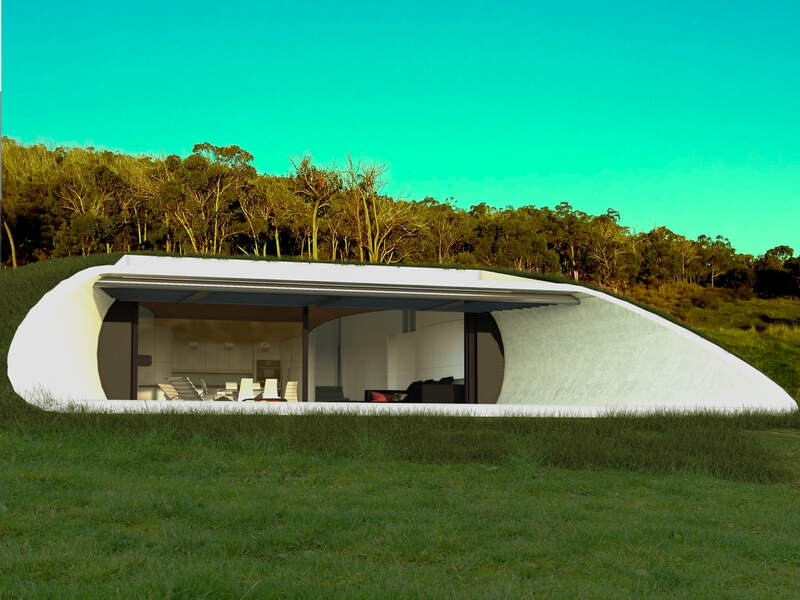 Sydney, Melbourne based sustainable Designs specialising in Earth Sheltered Houses, Beach House Design, Sustainable House Design, Flood Resistant buildings, Bush Fire Resistant Buildings, Eco Friendly House Design, Eco Kit Houses, Underground Houses.